Travellers now have an alternative to trek the ‘other Inca Trail’, try an alternative pilgrimage to the Camino or swap Everest for the Southern Hemisphere’s highest mountain, with Intrepid Travel’s new range of South America experiences that follow a less-trodden path without overtourism. 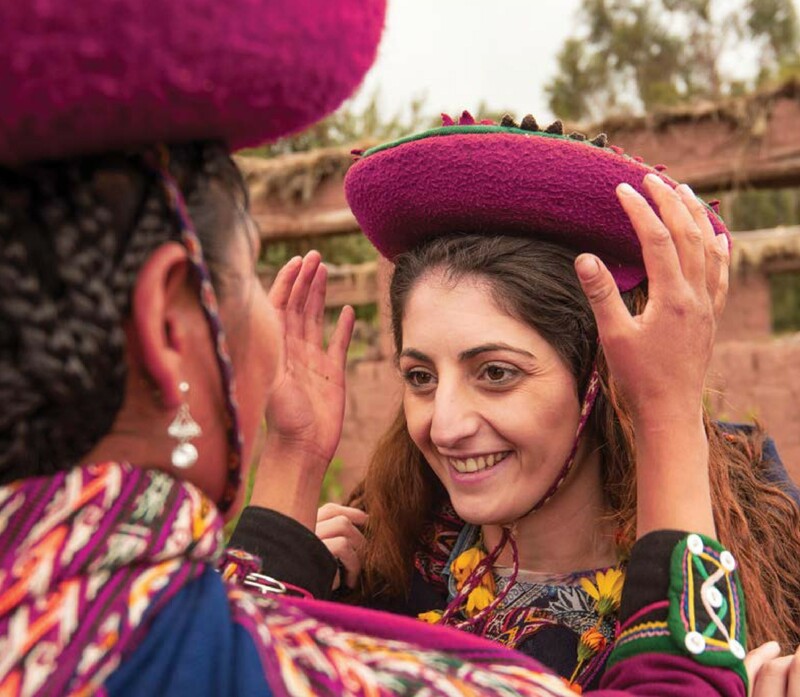 Tourists equate to 14 per cent of the population in Peru, and Intrepid wants to disperse the tourist dollar into more communities while taking travellers even further off-the-beaten-path. “Intrepid recorded growth of 68 per cent to South America this year from Australian travellers and according to our Adventure Travel Index the number one thing that Australians want on an adventure is to go to places less visited by mainstream tourists,” Intrepid Travel South America product manager Martin Ruffo said. “While Mt Everest and Machu Picchu are always going to be high on the traditional bucket list, there are alternatives which are less trodden, just as beautiful and sometimes even more special,” Ruffo added. Switch the Lost City: Offering a less-trodden and less touristy alternative to the Inca Trail, Intrepid is offering a trek to Peru’s other Lost City, Choquequirao, which is believed to be up to three times larger than Machu Picchu and home to some of the best preserved Inca ruins. The road to Choquequirao takes travellers deep into the wilds of the Peruvian Andes, along steep trails that zig-zag through dense cloud forest, dusty desert and scenic passes with views of dramatic landscapes and snow-capped peaks. With only a handful of people making the journey each day, visitors often have the place to themselves. Because a trip to Peru wouldn’t be complete without Machu Picchu, this trip also includes a guided tour of the famous Inca city and time to explore historic Cusco. Switch Base Camp: Instead of Everest Base Camp, Intrepid is offering a hike to the base camp of Aconcagua, the Southern Hemisphere’s highest mountain. Walking through glacial valleys and over rugged Andean peaks on a seven-day trek that reaches the 5000m-high summit of Mt Bonete, this Argentinian experience has everything that Everest does, plus the added bonus of starting and finishing in the Mendoza wine region offering ample opportunity to sample malbec. Switch the Pilgrimage: The Valley of Tears mightn’t be as well-known as the Camino trail but it has one hell of a story. Intrepid is offering a four-day trek through the rugged Andes to the site of one of the most famous plane crashes in history. The story of the crash of Uruguayan Air Force Flight 571 and the lengths survivors went to survive, including cannibalism, was told in the ‘90s movie ‘Alive’.